Manila, 20 March 2010—adidas, a global leader in running, kicked off its campaign to help you become a better runner with the launch of the miCoach Pacer and Zone. 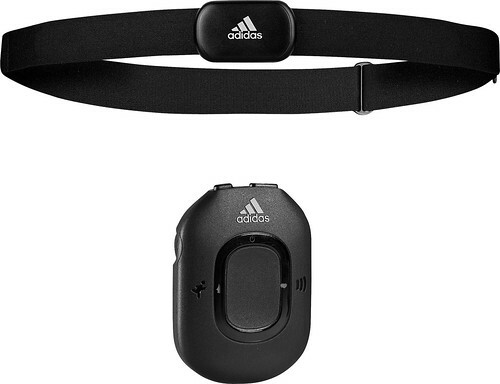 •	The miCoach Pacer – a small, lightweight device that delivers real-time audible coaching as you exercise via headphones or combined with your own MP3 player. During your run, the miCoach Pacer verbally coaches you (i.e. speed up to green zone, slow down to blue zone, etc.) to ensure that you are staying within your targeted heart rate zone and keep you running at the right personal level. •	The miCoach Zone – an easy to read color-code LED display on a wristband device provides accurate, real-time coaching making it easy for you to train at the right intensity with the help of a heart rate monitor. •	The new miCoach interactive training platform completes the adidas sports performance promise of engaging and enabling all athletes to achieve their Impossible. Not only do we provide you with the most innovative footwear and apparel to perform in, we now offer personal coaching services so that you can get fitter, run faster and simply be better in 2010. The adidas Innovation Team (ait) began research and development for the current miCoach platform and devices more than two years ago with the objective of creating the most advanced and personal training product in the marketplace. adidas also worked with some of the world’s finest athletic trainers in developing the miCoach training methodology, including Mark Verstegen, the founder and director of the Athletes’ Performance Institute (API), an elite training and sport research centre based at Ariz2na State University. On micoach.com you can create personalised training plans, set goals, and proactively monitor and manage your progress over time. The miCoach platform includes six documented training plans, ranging from those who want to run faster and improve a personal time, to those who want to lose weight. You can also create your own personalised training plan to help your achieve your fitness goals and make you a better runner. Join the Run Yourself Better promo! Buy any adidas Running product and get a pledge card that declares your commitment to run better. Drop your pledge card in designated promo boxes and get the chance to win one of 100 adidas miCoach Pacers. Deadline of entries is on April 15, 2010 while the grand draw is on April 29, 2010. For more details, join the adidas fan page in Facebook (Search for adidas Philippines in www.facebook.com). Promo period is from March 8 to April 15, 2010. The complete miCoach Pacer system retails at P6,995 while the miCoach Zone is available at P3,695. Both products are exclusively available at adidas Sports Performance Concept stores Greenbelt, Trinoma, Rockwell, Glorietta, as well as RUNNR Fort Bonifacio.